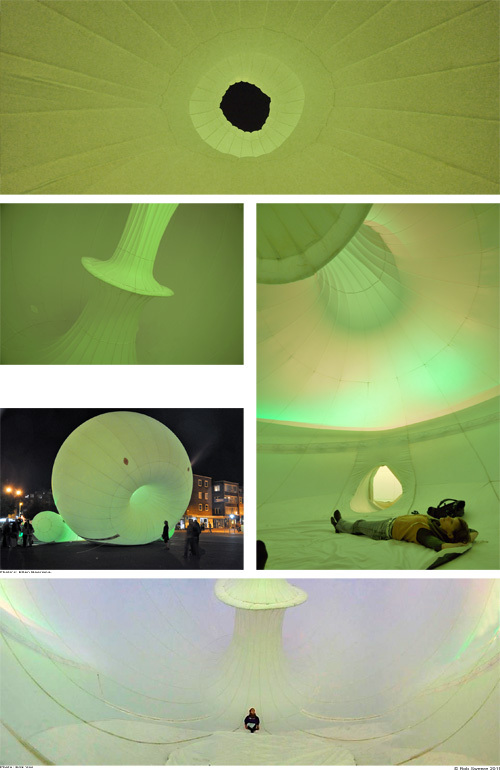 Inflatable, white fabric and green lights, 10x10x10 metres. 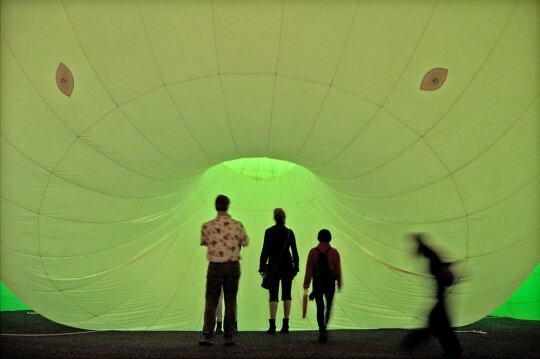 You can enter the artwork to go into the sphere. Arnhem, The Netherlands 2011. Contemplatorium – Vortex is made possible by Fonds BKVB. 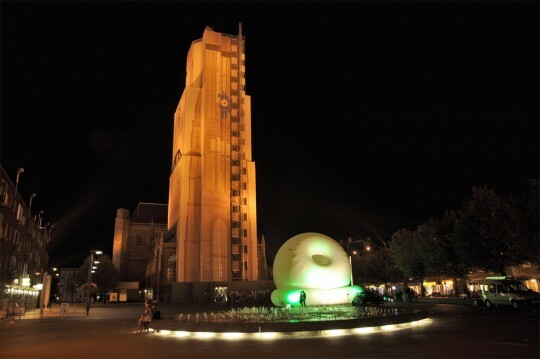 Sponsored by Stichting Binnenstadmanagement Arnhem. Special thanks to Marieke van Kessel.